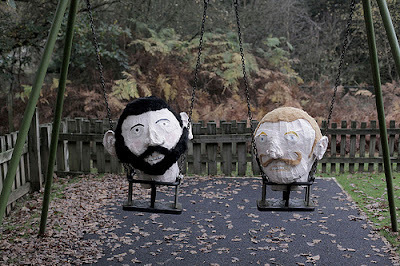 Lucy Kirk in collaboration with Pippa Toole,Chloe Hardwick and Isabel Reddington made these big heads and then a lovely and funny film staring them. 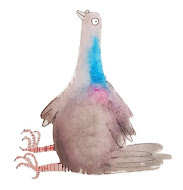 Lucy is an illustrator and ceramicist with lovely work for you to enjoy. OOh! I'm off to watch the film! They look hilarious! Oh it is very funny. I love the bit on the rowing machine! I like the sound and how it doesn't quite sinc. thats really fun! grey greetings from Paris!